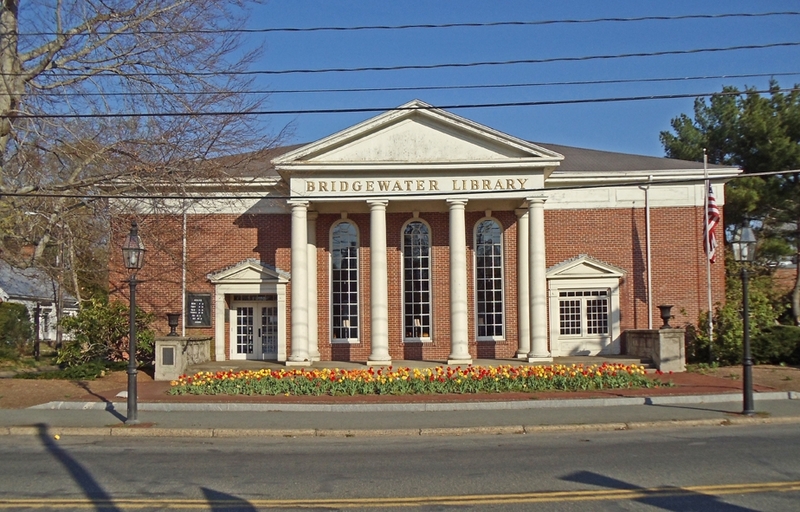 Around the Common: Upcoming Programs at the Bridgewater Public Library. 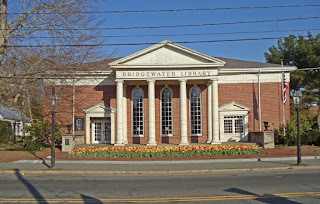 Upcoming Programs at the Bridgewater Public Library. Friday, March 3 @ 10:30-11:30 a.m.: Join Miss Nicole from Triumph, Inc. for a 12 week program featuring stories, art, songs and more. This program is for children ages 3-5 and registration is required through Triumph, Inc. @ 508-822-5388 ext. 208. Friday, March 10 @ 10:30-11:30 a.m.: Join Miss Nicole from Triumph, Inc. for a 12 week program featuring stories, art, songs and more. This program is for children ages 3-5 and registration is required through Triumph, Inc. @ 508-822-5388 ext. 208. Monday, March 6 @ 4:00-5:00 p.m.: Drop in to create with the Art Club. The B-R Art Club will be on hand to help you create art and have fun. This program is for ages Kindergarten and up. No registration required. This week we will be creating collage animals. Monday, March 13 @ 4:00-5:00 p.m.: Drop in to create with the Art Club. The B-R Art Club will be on hand to help you create art and have fun. This program is for ages Kindergarten and up. No registration required. This week we will be creating origami animals. Tuesday, March 14 @ 10:30-11:00 a.m.: Story Time with Miss Emily. Stories, songs, a craft and FUN! All ages, no registration. Wednesday, March 15 @ 9:30-10:00 a.m.: Book Babies. Lapsit for ages infant to 30 months with caregiver. Join Mrs. Davis for rhymes, songs, story and playtime. No registration. Wednesday, March 15 @ 10:30-11:15 a.m.: Story time and craft. Drop in story time for all ages with adult. Join Mrs. Davis for stories, songs, rhymes and a craft. No registration. Thursday, March 16 @ 10:30-11:00 a.m.: Book Babies. Lapsit for ages infant to 30 months with caregiver. Join Mrs. Davis for rhymes, songs, story and playtime. No registration. Thursday, March 16 @ 11:30 a.m. - 12:00 p.m.: Book Babies. Lapsit for ages infant to 30 months with caregiver. Join Mrs. Davis for rhymes, songs, story and playtime. No registration. Friday, March 17 @ 10:30-11:30 a.m.: Join Miss Nicole from Triumph, Inc. for a 12 week program featuring stories, art, songs and more. This program is for children ages 3-5 and registration is required through Triumph, Inc. @ 508-822-5388 ext. 208. Saturday, March 18 @ 10:30-11:30 a.m.: Read to Jasper, our lovable therapy dog. The “Read to a Dog” program provides children the opportunity to visit with a dog while building reading skills in a non-judgmental environment. No registration, all ages welcome. Monday, March 20 @ 4:00-5:00 p.m.: Drop in to create with the Art Club. The B-R Art Club will be on hand to help you create art and have fun. This program is for ages Kindergarten and up. No registration required. This week we will be creating Zulu shields. Tuesday, March 21 @ 10:30-11:00 a.m.: Story Time with Miss Emily. Stories, songs, a craft and FUN! All ages, no registration. Wednesday, March 22 @ 9:30-10:00 a.m.: Book Babies. Lapsit for ages infant to 30 months with caregiver. Join Mrs. Davis for rhymes, songs, story and playtime. No registration. Wednesday, March 22 @ 10:30-11:15 a.m.: Story time and craft. Drop in story time for all ages with adult. Join Mrs. Davis for stories, songs, rhymes and a craft. No registration. Thursday, March 23 @ 10:30-11:00 a.m.: Book Babies. Lapsit for ages infant to 30 months with caregiver. Join Mrs. Davis for rhymes, songs, story and playtime. No registration. Thursday, March 23 @ 11:30 a.m. - 12:00 p.m.: Book Babies. Lapsit for ages infant to 30 months with caregiver. Join Mrs. Davis for rhymes, songs, story and playtime. No registration. Friday, March 24 @ 10:30-11:30 a.m.: Join Miss Nicole from Triumph, Inc. for a 12 week program featuring stories, art, songs and more. This program is for children ages 3-5 and registration is required through Triumph, Inc. @ 508-822-5388 ext. 208. Tuesday, March 28 @ 10:30-11:00 a.m.: Story Time with Miss Emily. Stories, songs, a craft and FUN! All ages, no registration. Wednesday, March 29 @ 9:30-10:00 a.m.: Book Babies. Lapsit for ages infant to 30 months with caregiver. Join Mrs. Davis for rhymes, songs, story and playtime. No registration. Wednesday, March 29 @ 10:30-11:15 a.m.: Story time and craft. Drop in story time for all ages with adult. Join Mrs. Davis for stories, songs, rhymes and a craft. No registration. Thursday, March 30 @ 10:30-11:00 a.m.: Book Babies. Lapsit for ages infant to 30 months with caregiver. Join Mrs. Davis for rhymes, songs, story and playtime. No registration. Thursday, March 30 @ 11:30 a.m. - 12:00 p.m.: Book Babies. Lapsit for ages infant to 30 months with caregiver. Join Mrs. Davis for rhymes, songs, story and playtime. No registration. Friday, March 31 @ 10:30-11:30 a.m.: Join Miss Nicole from Triumph, Inc. for a 12 week program featuring stories, art, songs and more. This program is for children ages 3-5 and registration is required through Triumph, Inc. @ 508-822-5388 ext. 208.